Sue McCord, educator and former director of the University of Colorado’s Child Learning Center, leads us through her magical approach to organizing children’s learning around in-depth explorations of stories and all their possibilities in two half-hour videos. By anchoring a curriculum in a single story over an extended period, teachers can offer children opportunities to experiment, grow, and overcome challenges in new and exciting ways. 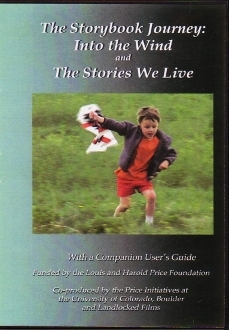 “The Storybook Journey” series DVD contains two videos. Part 1, entitled “Into the Wind,” follows the staff and students of Friends ‘n Fun Children’s Center in Lafayette through a six-week exploration of Gilberto and the Wind.